150cc Puma on sale, a great scooter discounted at a affordable price. This gas scooter is a gas saver that will never threaten to bust your buget well after the puchase. It has a strong Honda cloned engine that will move up to 65mph easily keeping up with the flow of the traffic on any boulevard. This scooter handles well and the very powerful 150cc scooter engine is responsive and gives lots of power. It doesn't vibrate and the large rims and heavy duty suspension give this scooter a good grip on the road. The 4-stroke scooter has been proven to be as efficient and reliable to competitors such as Honda and Yamaha. This streamline design motor is optimized to be extremely fuel efficient (up to 100 MPG) yet tuned to perform with maximum torque & power. Equipped with the leading Japanese standard components such as spark plug and throttle-body designed carburetor, no primer button or choke lever to mess with. Stylish, sporty looking body doesn't bar an equally excellent performance! Elegantly designed Signal�indicators match the enhanced headlight design and maximize its visibility at night. Built in License Plate Bracket. 4-cycle engine will provide just the right amount of power for normal cursing or short distance commute. Top speed is over 65�MPH. Speed will depend on the riders size and weight. Electric and Kick Start: Push button electric start ensures quick and easy starts and smooth, reliable operation, even for first time riders. If you somehow get into trouble though, then it is always great to have a reliable back up kick start method. 13" Wheels and Stylish Aluminum Rims: give great mechanical advantage and deliver a large contact surface area for more contraction. High Performance Hydraulic Front ABS Disc Brake System: delivers smooth stops in half the distance of standard. Inspire confidence and relaxation for all riders. 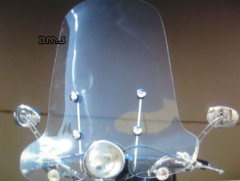 Enhanced Headlight: Easily adjustable High and low headlight beams gives better night rides. Extremely Fuel Efficient: Up to 90 MPG under city riding conditions. High ground clearance from the road surface helps to glide over breakers and pot-holes. Excellent Rear View Mirrors provide a bigger and wider viewing area. Thick�padded Seat: Seating geometry and riding posture even for long rides is very comfortable. The seat design makes balance control through weight shifting easier. It provides more riding comfort to you and your passenger. Passenger Foot Rest and the Lockable Trunk can be used as a passenger back rest. Tons of Storage Space: Lockable gloves box located in the front underneath instrument panel area, Carrying compartment under locking seat, Lockable rear Trunk with Built-in Reflector and passenger back rest, and a helmet Hook located in the inside of the front panel. BE A RESPONSIBLE RIDER! FOR SAFETY, READ YOUR OWNER'S MANUAL. ALWAYS WEAR A HELMET, EYE PROTECTION, AND PROTECTIVE CLOTHING! NEVER RIDE UNDER THE INFLUENCE OF DRUGS OR ALCOHOL! ATV's - Parents consider your youngsters age, size, ability, and maturity before allowing them to ride. 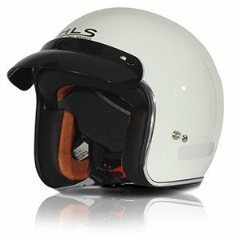 SCOOTERS, MOPEDS & MOTORCYCLES - Never ride on non-paved streets or non-public roads, and never carry passengers on your moped unless equipped to do so. Never engage in stunt driving or ride at excessive speeds. Be careful on difficult terrain. Riders under 16 years of age must be supervised by an adult.�CountyImports.com�recommends that ALL riders take a training course. We have a put together a great collection of actual course study information, videos and guides. The 4-stroke�cycle has been proven to be as efficient and reliable to competitors such as Honda and Yamaha. This streamline design motor is optimized to be extremely fuel efficient yet tuned to perform with maximum torque & power. Equipped with the leading Japanese components such as spark plug and throttle-body designed carburetor, no primer button or choke lever to mess with. 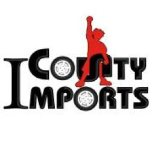 All Countyimports.com products carry these 4 stroke motors, upgraded drive belts, chains, carburetors, electrical and lighting. You will notice, many competitors sell similar products but for the same price, why not get all the great upgrades we include standard! If you ever are in need of assistance we are here to help you over the phone! �Put our certified technicist to work. The best part is we have product on hand so we can walk through your technical questions with you over the phone. Want to do your own oil change? Need to change the battery? Give us a try! This service is for customers. Please have your order ID ready when calling so we can help you. The shipping carrier, UPS Freight, Fedex National, SAIA or any other carrier we use will call you 1-2 days before delivery to arrange a "block time" for delivery to ensure you are�present for delivery. Please watch your phone and e-mail carefully�5+ days from the date of order.�These mopeds are specially designed and manufactured to be sold online. They have special packaging (minimize shipping damage and missing parts), every bike is tested at the factory (real test ride, not just started) Standard FREE �Shipping takes anywhere from 5-15 business days depending on your location. We do offer other custom shipping methods during checkout.� Express shipping, gift receipt and business delivery are also options we offer! Free Technical Support�on all products purchased from our website. Parts shipped in�5-15 business days. 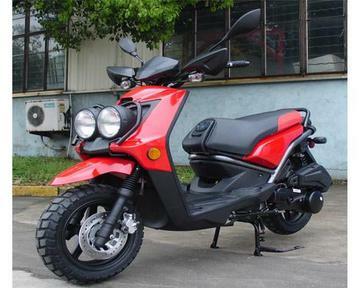 Please remember that by purchasing a moped�online, you are responsible for performing the setup that a dealer would normally perform - such as checking the tires, hooking up the battery, checking tightness of all nuts and bolts, changing oil, etc. Although we do provide some very good information and assembly manuals; occasionally some units may need other routine items checked/adjusted such as adjusting the carburetor idle and mixture screws, checking to ensure wires are well connected, adjusting chain slack and alignment, if needed. Since you are skipping a dealer and saving over half the price of a usual retail�customer, you will need to perform the final assembly (as stated above). This will take generally 30-90 minutes to perform depending on your vehicle and skill level. �While we will gladly assist you with any technical questions, we will cannot refund or exchange your unit if you cannot perform these functions or refuse to let a shop do it for you. By placing an order with CMS you agree to these terms.�If you would like a dealer to perform the assistance and easy set-up for you, we have one of the only brick and mortar�dealer networks to assist you with this function for a fee. Contact us with any questions. We are very gracious to gain you as a customer. Please�sign up for our mailing list during checkout or on any page. We�send several emails automatically to your inbox on the entire shipping process, step by step. We believe in keeping our customers in the loop and informed of how our process works every step to your door! �We look forward to working with you and please feel free to send us an email�at any time letting us know what you need. Please contact us anytime you like with your service or sales needs! We have a fully functional website for your parts needs unlike any other dealer! We are established and dependable- We have been in business for over 6 years and are growing rapidly.� For over 6 years, we have gained tremendous experience serving thousands of customers in high dirt bikes, go karts, and scooters. Our knowledgeable staff is enthusiastic, helpful and courteous; we have a great attitude and want your business. We care about our customers and make ourselves easily accessible. Our toll-free number is 1-877-868-5828. Your satisfaction is our #1 concern. Why get yourself all frustrated & try to get hold of a company never answers the calls? Pick up the phone dial our Toll Free 877-868-5828. We guarantee you will find the best customer services here you deserve. We stock all common parts for all products we carry. 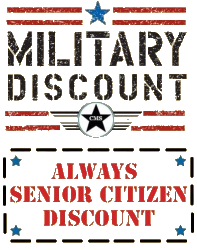 Call us at�877-868-5828 and get your warranted replacement part(s) shipped free of charge. If you purchased your Motorcycle, Dirt Bike, Scooters or Go Kart from us - you are special and will be given that special treatment each and every time you come back. We offer replacements parts at extremely low prices even if your warranty has expired! Just FYI, if you have any frustrating friends, co-workers, family members are looking for replacement parts that they could not get from where they bought their bikes from, have them call us! We provide 80% of the spare parts on the market, not just to end users, even the dealers! NOTE: WE INCLUDE Residential AND lift gate delivery with ALL our�product at NO additional charge. Why buy a scooter that you have to either drive hours to pick up or need 4 people to unload from the delivery truck?